This early morning our driver will pick you up and you will proceed to Agra. Midway you will stop for refreshment. 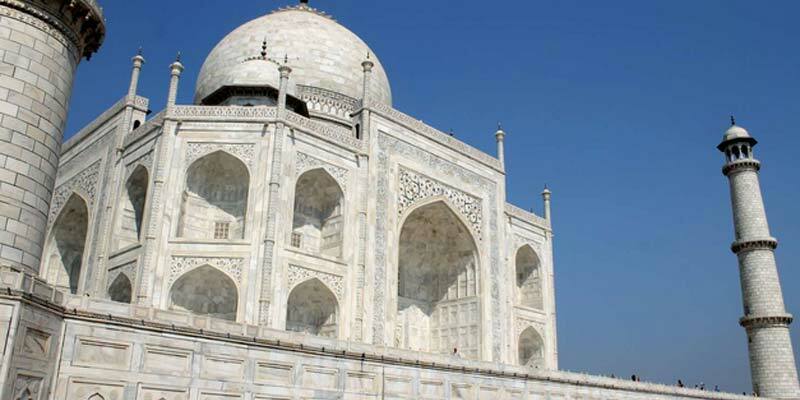 Around 9:30 hrs you will reach Agra City and will be taken straight to Taj Mahal. The Mughal City Agra is most famous for the Taj Mahal, one of the seven wonders of the world. Around 09:30am (approx) you will reach the Taj Mahal. The Taj Mahal, an essential sight for all visitors to India is one of the most achingly beautiful architectural achievements in the world, and is considered to be a symbol of enduring love. Shrouded in white marble the sheer elegance, purity and sentiment that are an integral part of the monument have touched the hearts of people from all corners of the world. One of the seven wonders of the world and a world heritage site was built by Mughal Emperor Shah Jahan in loving memory of his beloved wife Mumtaz Mahal who died while giving birth to their fourteenth child. Built in pure white marble Taj Mahal is located along the banks of the River Yamuna, the Taj spreads across almost 42 acres of land and it is believed that this particular spot was chosen by the emperor because of its peaceful and soothing effect. One of the seven wonders of the world, it stands as a tribute to undying love and all who visit it stand awed at the first impression created by this marvel in white marble. Visit agra fort, which was build by fifth mughal empror "AKBAR". Here you can explore Indo-Islamic architect. After Lunch, Finally you will proceed back to Delhi along with an impression of TaJ and a sheer magic that the Taj exudes making it an unforgettable and cherished image forever. Meet up location: Hotel lobby or any palace where you want to meet in Delhi. End location: anywhere where you want to leave in Delhi City.